Uralkali lost out to the Stroll-led consortium in the race to buy Force India last month. Based in Russia, Uralkali is one of the world’s largest fertiliser companies, and has links to GP3 title contender Nikita Mazepin, whose father, Dmitry, is on the board of directors. Uralkali was one of the bidders to buy Force India when the team entered administration over the summer, only to lose out to the consortium headed up by Lawrence Stroll, the father of Williams F1 driver Lance Stroll. 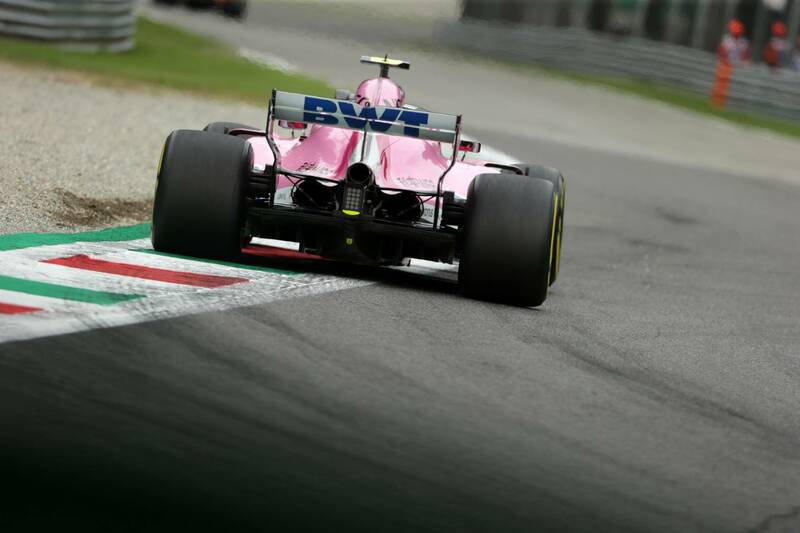 Uralkali issued a statement shortly after the sale of Force India was completed questioning the deal and the conduct of the appointed administrator, FRP Advisory, which responded by claiming it had given all interested buyers “equal opportunity” in the bidding process. Ahead of this weekend’s Russian Grand Prix, Uralkali claimed in a statement it had started legal proceedings against FRP Advisory in London’s High Court. “Uralkali, a leading integrated producer of potash fertilizer, today began proceedings in the High Court in London for substantial damages arising from its prejudicial and unequal treatment in that process,” the statement confirms. "The legal claim highlights significant abuse of the administration process including: The Administrators failed to recognize as successful our bid, which was higher, than the one ultimately determined as the winner; Misrepresentations and lack of transparency in the process run by the Administrator; A flawed sales process which failed to achieve the maximisation of sale proceeds to the detriment of creditors, shareholders and other stakeholders. “Uralkali has received inadequate responses from the Administrators to its request for an explanation as to why the Company’s bid – which remained open throughout the process – was unsuccessful. “Despite Uralkali’s generous offer, which we believe was the best bid on the table, the Administrators chose to enter into an exclusivity arrangement with another bidder and subsequently refused to reengage with Uralkali,” the statement says. Paul Ostling, senior independent director of Uralkali who led its offer for Force India, said: “We had a strong business case for acquiring Force India and we believe our bid was the best one tabled, and the Administrators have confirmed it was well in excess of the bid they chose. “We have serious concerns as to why the Administrators did not use the opportunity to maximise the amounts that could have been paid to creditors and shareholders. “We believe our bid would have resulted in a much better return for stakeholders, particularly the Indian banks which are owed considerable sums. However, after being contacted by Crash.net for comment, FRP Advisory claims it has not been made aware of any action yet being taken by Uralkali. "The Joint Administrators to Force India Formula One Team Limited note that Uralkali issued a press release this morning detailing how a claim has been issued against us in High Court in London. No such claim has been received by us or, as far as we are aware, by the Court," a statement reads. "If a claim is issued it will be defended vigorously. We have fulfilled our statutory duties as administrators throughout this process and ultimately achieved a very successful outcome for all stakeholders. "Any legal action brought against us will be defended vigorously, and we are confident it would be dismissed."